Prince Charles, the heir apparent to the British Throne and the future King of England is a motorhead that has over a hundred cars in the Royal garage. 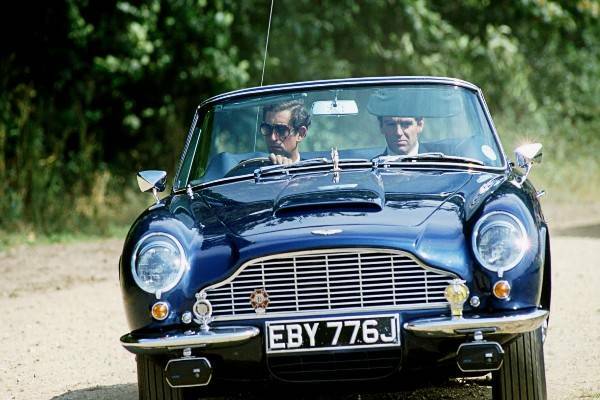 Aston Martin’s Engineers to find an alternative and environmentally friendly option than petrol to power his gas-guzzler classic Aston Martin DB6 Volante. The Prince’s 21st birthday gift from his 92 year old mother, Queen Elizabeth II now runs entirely on surplus English wine . “The engineers at Aston said, ‘Oh, it’ll ruin the whole thing’. 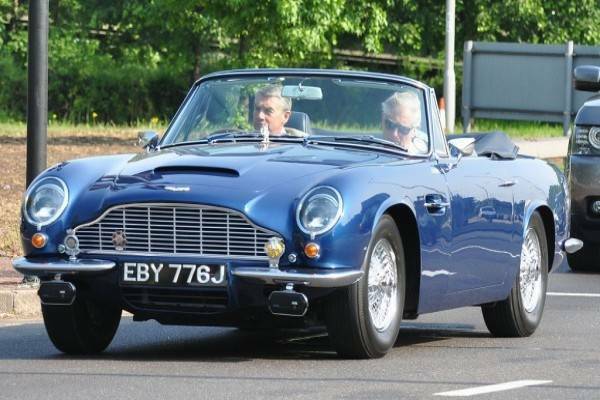 “I said, ‘Well I won’t drive it then’, so they got on with it and now they admit that it runs better and is more powerful on that fuel than it is on petrol. 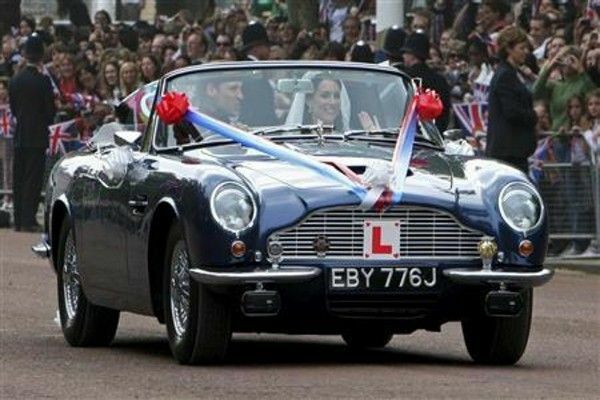 His son Prince William also drove the rare blue 49 year-old Aston Martin DB6 Volante with the “JU5T WED sign on his wedding day back in 2011. The Prince visited Nigeria last week during his royal tour of West Africa where he met the President and all the Royal Fathers .